"One of the most interesting albums I've heard this year" was Downbeat critic Peter Margasak's reaction to Robert Landfermann's first PIROUET CD, Night Will Fall. 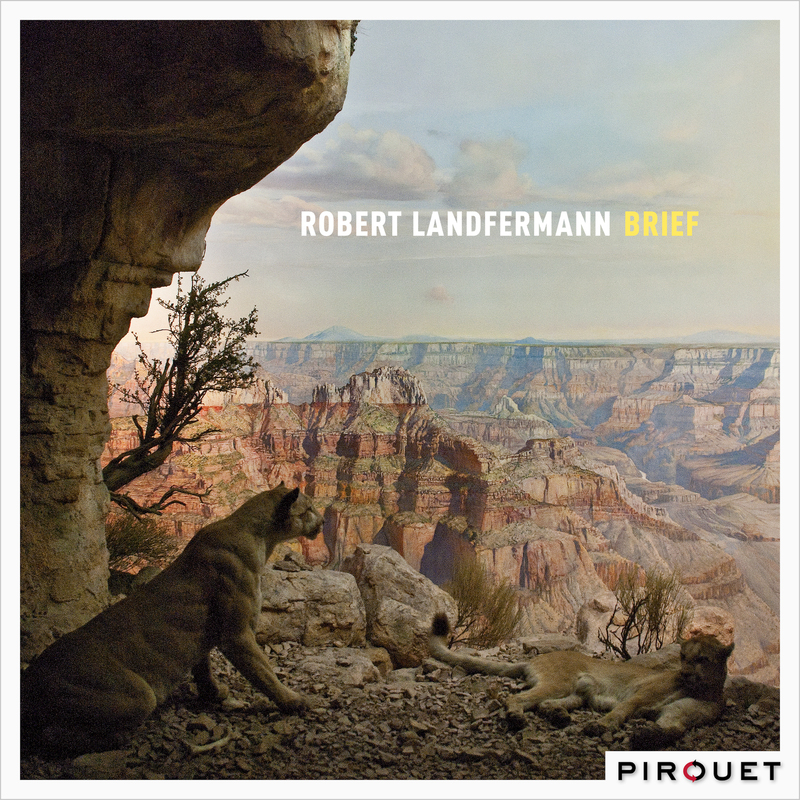 Landfermann now returns with Brief, his second PIROUET offering with the quintet he calls his "dream band". Co-founder of the influential Klaeng Jazzkollektiv in Cologne, German bassist Robert Landfermann has been a member of the ground-breaking Pablo Held Trio since the band's inception in 2005, and has worked with such major voices as Joachim Kühn, Tomasz Stanko, Django Bates, John Taylor, Lee Konitz, and John Scofield. Landfermann's quintet has been together since 2014, and he enthuses, "This is something of a dream band for me." It began with Landfermann wanting to especially play with two of the top musicians on the German scene, alto saxophonist Christian Weidner and tenor saxophonist Sebastian Gille: "They're both unbelievable; their sounds are unmistakable, and they both inspire me." AllAboutJazz hailed Weidner as "a rare original voice" with a "finely focused artistic vision", while Jazz Station labeled Gille "a jazz musician whose music has stylistic coherence, highly cultivated intensity, and absorbing tonal beauty." It was then only for Robert to grab drummer Jim Black and pianist Elias Stemeseder, two of his favorite players with whom he had been working off and on over the last few years. Born in 1967, American Jim Black is the oldest musician of the group. One of the leading players of his generation, Black is esteemed for his ability to play any kind of music, as well as his playing passion. Born in 1990, Austrian pianist Elias Stemeseder is the youngest in the quintet. Besides his work with Black in various venues, Elias has been involved with bands that included Anna Weber and Nels Cline. Landfermann says that "Elias has a very unusual way of employing the instrument's possibilities, but his intention is always crystal-clear." Robert writes music that fits the musicians' styles, and yet, no player grabs the limelight: "The music comes first, and everyone works on that assumption." Influenced by Hindemith's Sonata for Contra-Bass, Ring contains as many interpretations as its title – sound, circle, treasure – as an amazing bass-drum duet intertwines information with Weidner's edgy explorations. Uluru, the aborigine name for what is better known in Australia as Ayer's Rock, has an appropriate primordial feel, with loads of interactive freedom. Dedicated to and influenced by friends and fellow musicians Christian Lillinger and Achim Kaufman, the onomatopoeic Chrach is an up and down and all around cooperative ride. Based on a Ukrainian folk tune, Lullaby begins as an enigmatic duet between Gilles and Weidner followed by a sensitive piano trio section. Robert comments that, "We approach it a lot like the way Paul Motian approaches his compositions – he's been a big influence, and we often play his music on tour." Right as Rain hits the listener with a downpour of unison lines before leaping into exploratory improvisations. Robert hears the piece as a mix of New Music and Ornette Coleman. Regenzeit is an older composition of Landfermann's "...that has finally found a home in this band. I'm something of an autumn person – I like this feeling of veiled melancholy." Brief is another of Robert's pieces that bares the stamp of Motian's influence. Landfermann calls it "a simple tune in which we can freely move around. It represents the care needed in communicating – something that we are losing more and more – as well as that fleeting moment that once it's past is either gone or lost in the haze of memory." Brief: an album of concise communication with a message that captures and holds on to the moment's magic.